A marble mantel is a stunning and elegant structural focal point due to the style it will add to any room. Choose Olde Good Things for a choice of antique, pre-war, and turn of the century mantels. We acquire and reclaim marble mantels from all over the world and all across history. In addition, we curate a large variety of colors and styles to add spirit and refinement to any room. With a classic white marble mantel we will add many energy features to a high-cost piece of your home. Marble is a strong building material perfect for use with mantel pieces and fireplaces. Marble has been used for hundreds of years in many applications both interior and exterior. Many people pair their marble mantel with a farm table. Today antique lovers will use marble for bar-tops, bathrooms, flooring and back splashes. Very heat resistant, it is a perfect material for gas, wood and electric fireplace surrounds. Mantelpieces originated in medieval times as a simple hood that was placed over a fire grate to catch smoke. The term has since expanded to include the decorative framework around the fireplace. It can include elaborate designs that can extend to the ceiling. 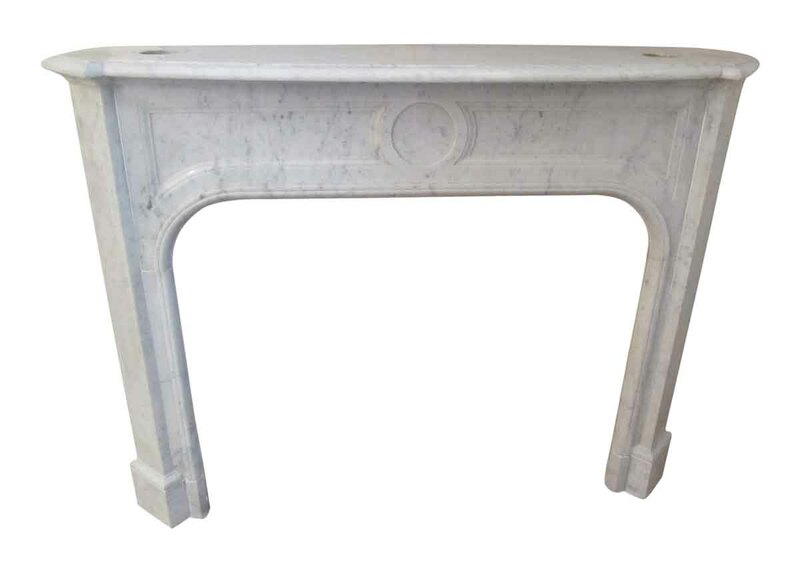 Styles include French, Faux, and Victorian marble mantels. Up until the 12th century, fires were simply made in the middle of home with the help of a hypocaust (an ancient precursor to modern central heating) or with small containers filled with hot coals called a brazier. Now history buffs will put fireplaces in the walls, therefore building chimneys into the structure. As a result, we see the design of a very elaborate and rich architectural focal point for a grand room through a marble mantel fireplace. With an antique marble mantel, we will put you in touch with the classic eras of the past. Many historical sculptors carved grand mantels in the styles of elegant times. 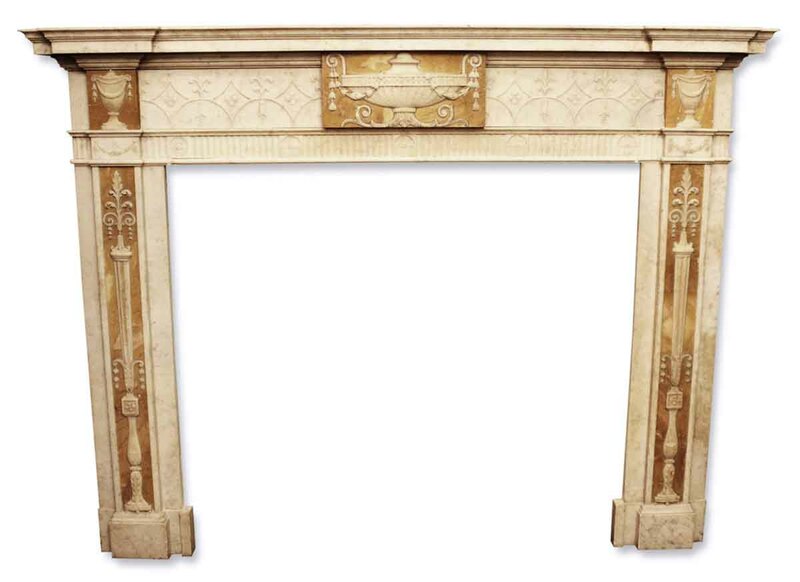 As a result, mantels have been closely linked to most major design movements. Design of fireplace mantels and their surroundings changed over the years, eventually culminating in the 18th century with ornate figure sculptures and over-mantels that became large frames to house the family portrait. 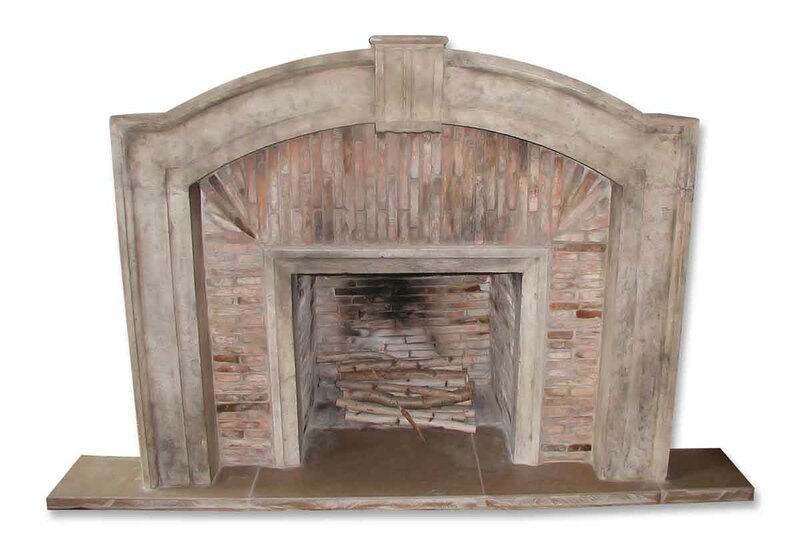 The Olde Good Things collection of marble mantles for sale includes pieces in many styles. Choose from Federal, Traditional, Victorian, Classic, French, Gothic, Louis XIV and XV, and Craftsmen — hence, something for every taste. While serving a vital function, mantels and fireplaces can be the center of any custom interior design. 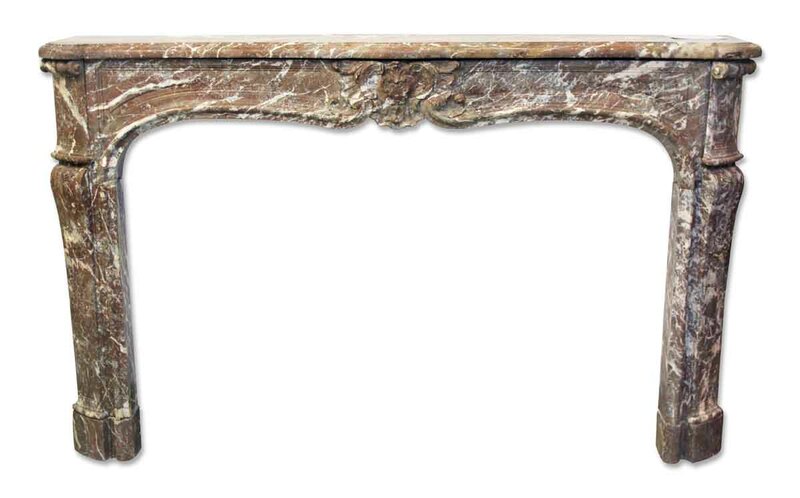 A marble mantel offers a unique chance for the designer to create a personal statement. This will be a unique art piece just for the room they are creating. Historically, mantels set the architectural style for the whole interior décor. Furthermore, marble is by far the most renowned luxury material you will select for your mantelpiece. It is quite a rare material to come by today, therefore Olde Good Things will always take great care to salvage marble. 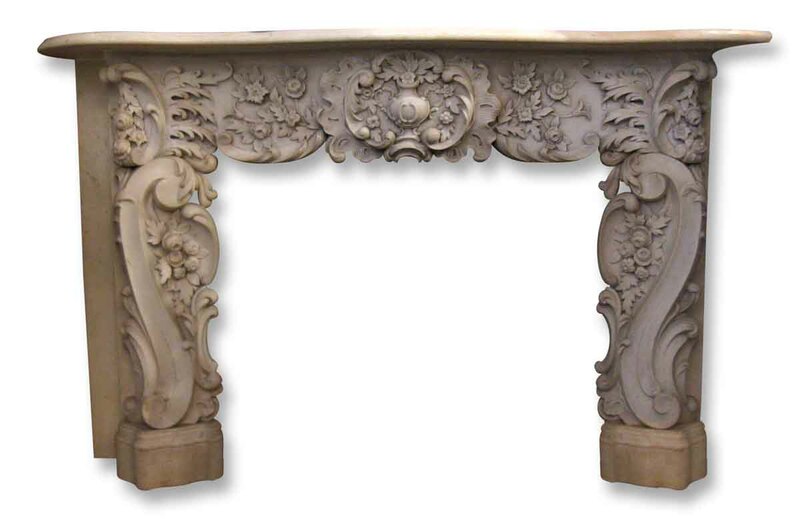 Most of our mantels are in excellent condition and can be installed immediately. While some of our older pieces may need extra care to restore them to their former glory. With Olde Good Things mantels and reclaimed wood furnishings you will elevate your home to a classical standard. If you’re looking to add a unique style to your home or a restoration project, a marble mantel in an antique, historical, vintage or industrial style will be a great compliment. We also offer a diverse collection of mantel and fireplace accessories including andirons, screens, finials and over-mantels. If you’re looking for a mantel from a particular period of time, give us a call or visit our website. In addition, you can stop by our enormous Scranton, Pennsylvania warehouses. 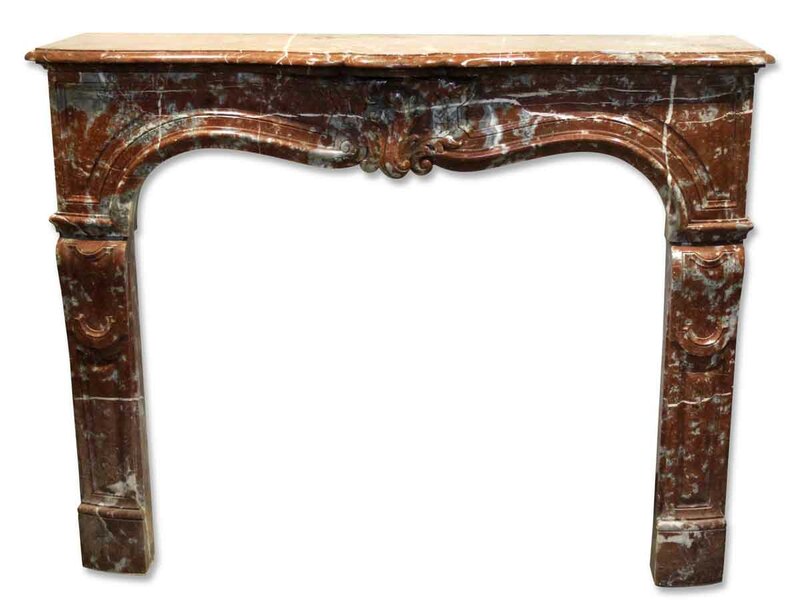 We have the largest selection of vintage and antique fireplace marble mantels for sale. We’re sure you’ll find the perfect piece for your project.